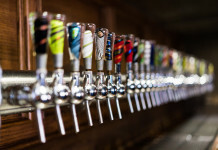 The craft beer game is changing; it’s maturing both in business and beers. Pushing the envelope has always been at the core of craft beer, but the past few years have brought open minds and open palates unlike in years past. 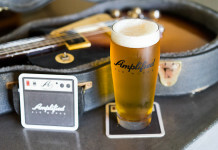 No, this doesn’t mean the end of the San Diego Style IPA, but it does mean craft enthusiasts are open to exciting, wild, experimental, and old school traditional styles that deliver flavor profiles that pop. 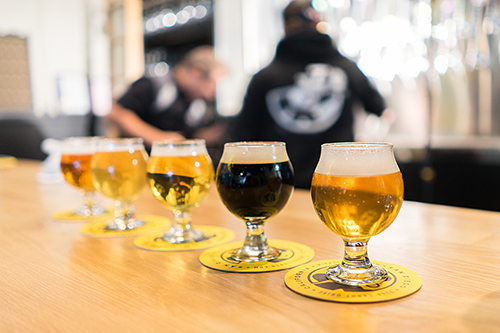 I can’t think of a larger sign of the change and maturation of craft than the opening of Mikkeller Brewing San Diego. Mikkeller SD was forged out of friendship and mutual respect between Gypsy Brewer Mikkel Borg Bjersgsø of Mikkeller and Peter Zien, Owner of AleSmith. The men had been friends for years, and when Peter reached out to Mikkel, inquiring about his interest in opening a brewery at AleSmith’s original Miramar location, Mikkeller Brewing San Diego was born. As the plan was formulated, Mikkel was in need of a local brewer with experience on the AleSmith system. 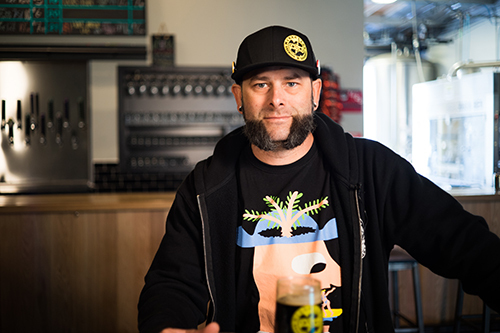 With more than 10 years experience on the AleSmith system, Bill Batten was a great fit to take on the adventurous opportunity as Brewery Manager for the newly formed Mikkeller SD. At Mikkeller SD, every new beer is crafted in collaboration between Mikkel, who continues to reside in Denmark and the local San Diego team led by Bill Batten. Recipes are created both locally and in Denmark, while brewing execution occurs in San Diego. As the beer comes to fruition, each beer is sent overseas for tasting feedback from Mikkel. This global collaboration process helps ensure Mikkeller SD continues to deliver both local and global perspective when crafting new recipes, while never compromising on quality and flavor. Breweries build their following with a couple of great beers that become synonymous with the brewery brand. These beers become core beers that you can expect to taste each and every time you visit. Mikkeller SD is no different in this with their Beer Geek Series; however they are unique in quantity of rotational and seasonal beers on tap in San Diego. 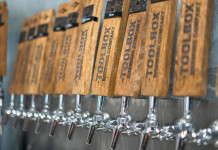 The tap lineup is fresh and deep, with 19 beers and 2 cask. Kick your morning off right with a flagship Beer Geek Breakfast, ease into happy hour with a Sesh’N IPA, or get wild with the latest collaboration, Flip Mode brewed in collaboration with Monkey Paw. 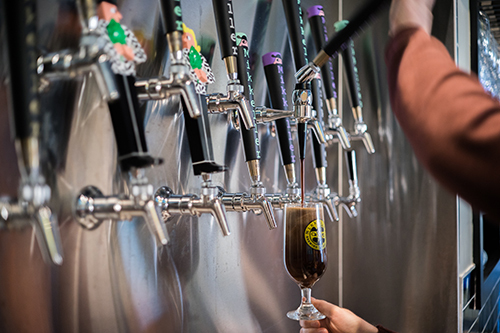 You’re going to see core beers that have built Mikkeller into what it is today, as well as a ton of rotating options brewed seasonally and in many instances in collaboration with local, national and international brewing legends. 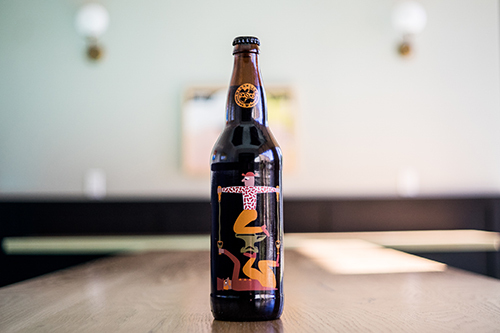 The story behind Mikkeller San Diego is as good as the beers created. It spans across the globe connecting and collaborating some of the best brewers the world has to offer. 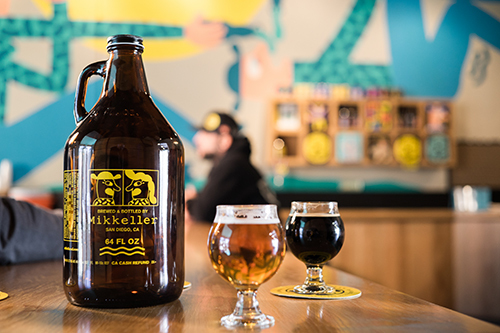 Craft beer culture and consumer palates are evolving thanks to adventurous breweries like Mikkeller San Diego and their constant drive to make a great beer regardless of the style. On your next craft beer adventure stop by Mikkeller SD and shake things up a bit, get out of our comfort zone and try something new. 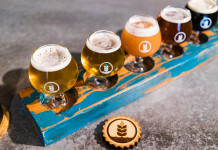 As part of this Featured Craft Experience, our team at HopsHighway.com was able to sit down with Mikkel, Bill, and Peter to hear how Mikkeller San Diego came together and where they are taking it in the future.